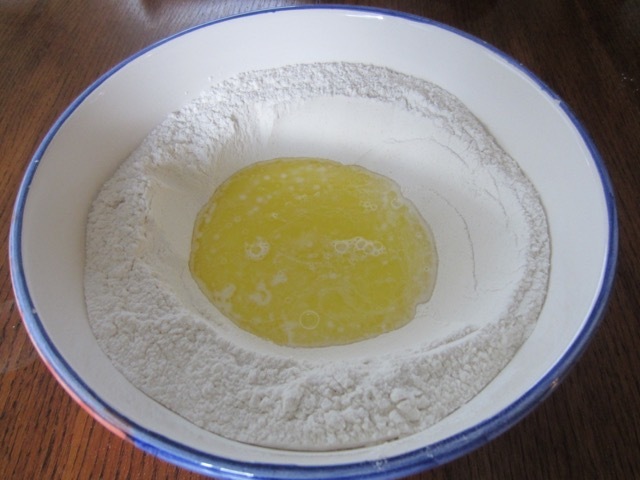 Sift the flour, yeast, sugar and salt into a large bowl. Make a well in the centre, and add the milk and melted butter into the well. 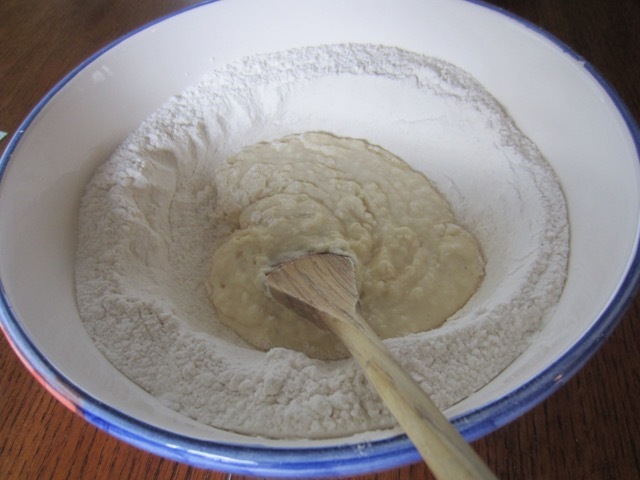 Using a wooden spoon, gradually incorporate the flour into the the liquid in the centre, until it forms a thick batter. 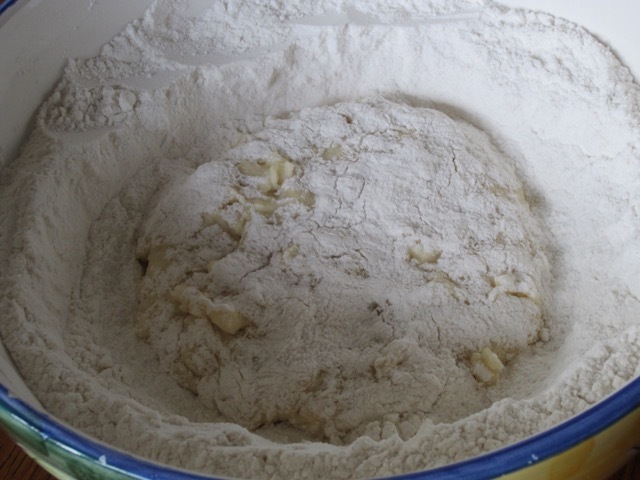 Flick a bit of flour from the sides to cover the thick batter. Cover with a tea towel or cling film and leave for 30 minutes. 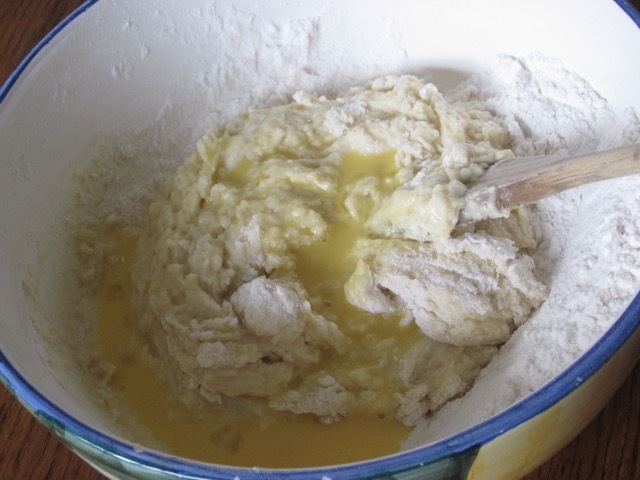 Uncover, and gradually add the beaten egg to the thick batter in the middle, and stir to incorporate. 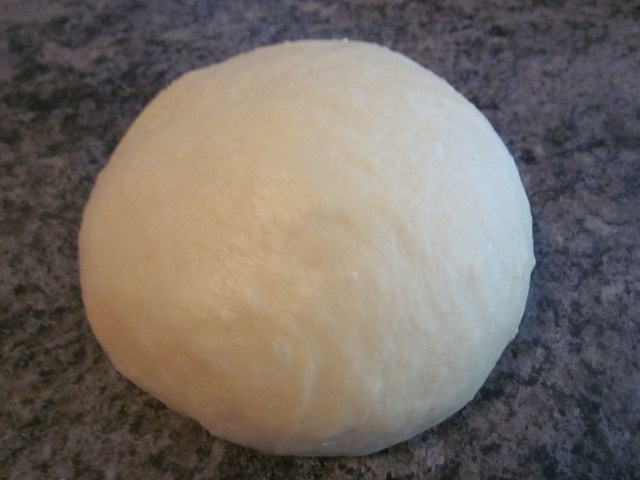 Finally incorporate the remaining flour to form a very soft and sticky dough. 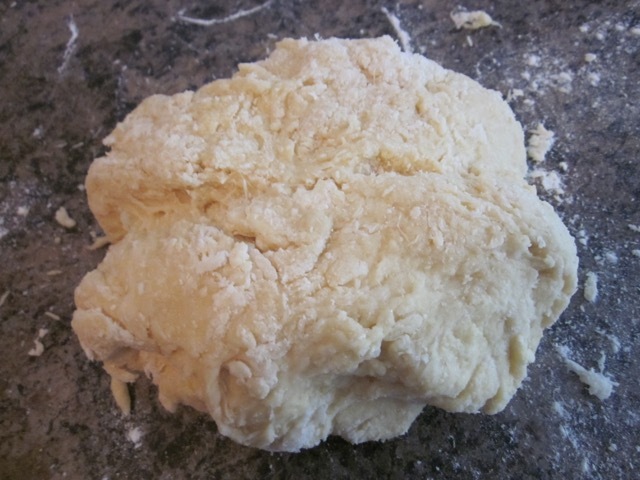 Turn the dough onto a lightly floured surface and knead, lightly, 10 minutes, until it becomes smooth, pliable and elastic (do not add a lot of flour). 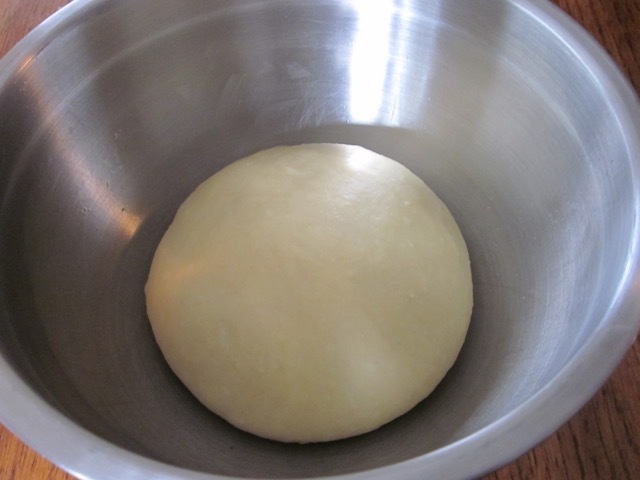 Form the dough into a round ball and put in a lightly oiled bowl. Cover with cling film and let rest in a warm place for about 1½ hours, or until it doubles in size. 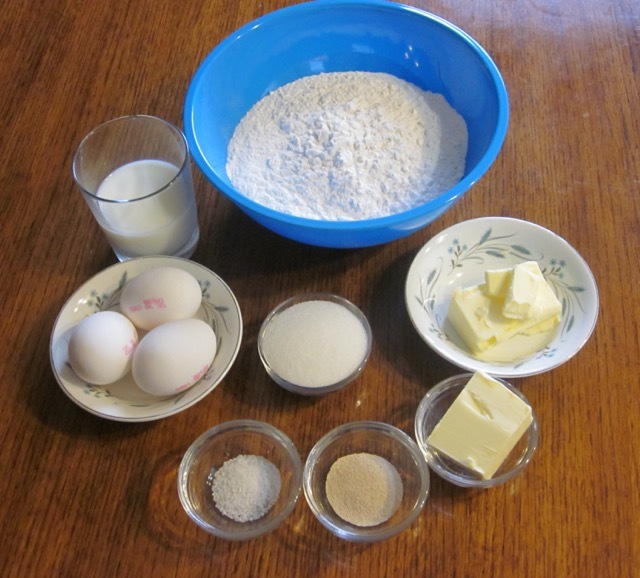 If using a stand mixer just follow the steps described above in the bowl of your mixer and add the egg in two batches using the lowest speed. 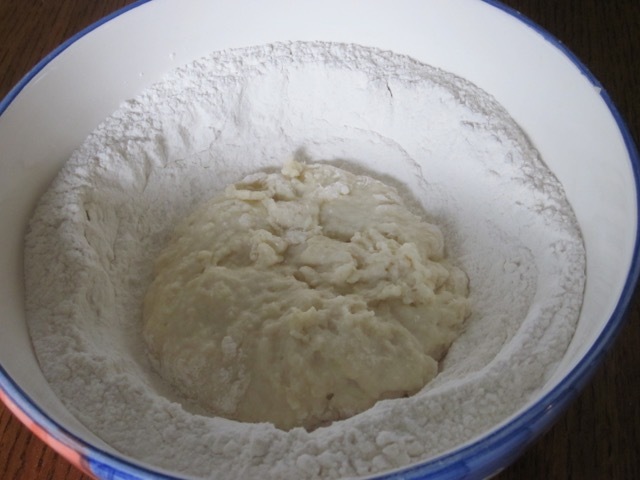 Once the dough comes together knead for 8 minutes using the next higher speed (you will need to scrape the sides of the bowl at least two times but do not add more flour). 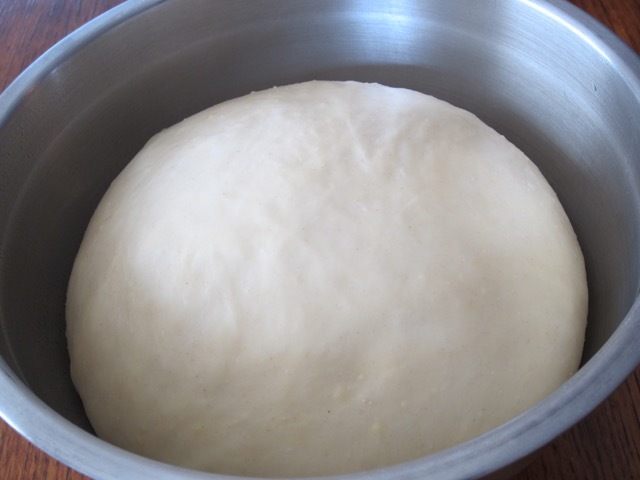 After 8 minutes, scrape the dough off the hook and sides of the bowl and knead a few times on your countertop then form into a ball (the dough should be soft and pliable). Put the ball in a lightly buttered bowl. Cover with cling film and let rest in a warm place for about 1½ hours, or until it doubles in size. Use as per your recipe. 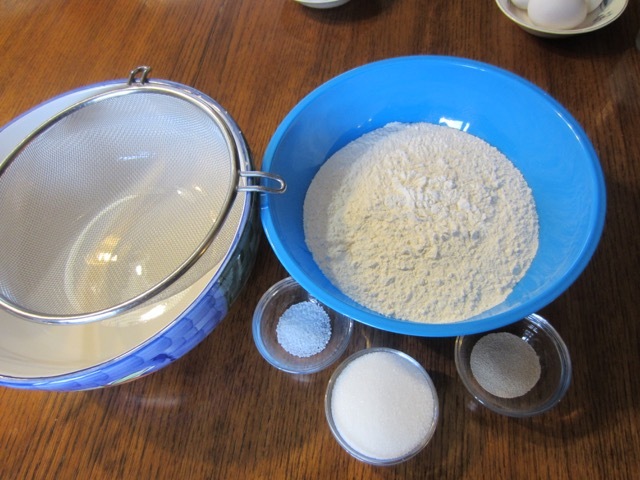 Sift the flour, yeast, sugar and salt into a large bowl. Make a well in the centre, and add the milk and melted butter into the well. until it forms a thick batter. 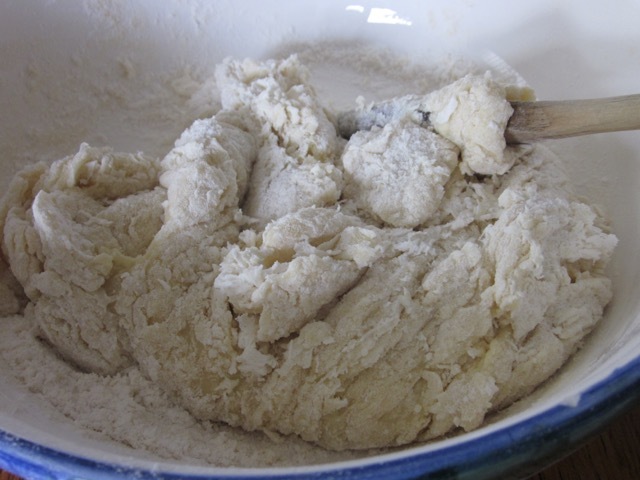 Flick a bit of flour from the sides to cover the thick batter. Cover with a tea towel or cling film and leave for 30 minutes. and gradually add the beaten egg to the thick batter in the middle, and stir to incoporate. and put in a lightly oiled bowl. Cover with cling film and let rest in a warm place for about 1½hours. 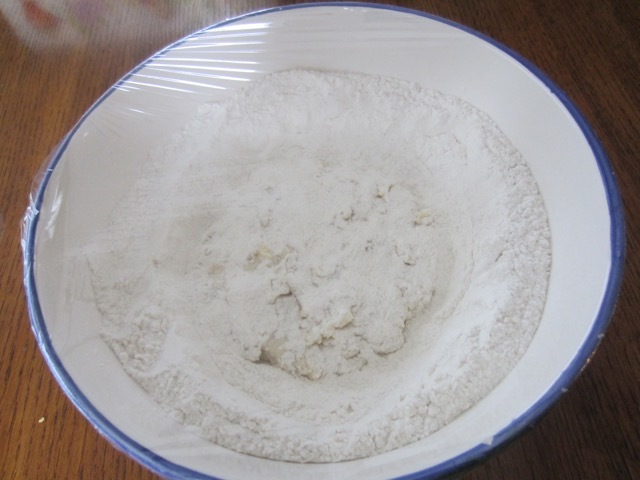 When mixing in a stand mixer the bowl will not get clean but do not add more flour. Once you scrape it off it will not be sticky anymore. Just make sure you get the measurements for the flour right. Prev What is Butternut Squash? Nothing beats freshly baked bread! These look so yummy! Yes very soft and fluffy and ridiculously nice! Belated New Year Greeting. I’m glad to know you’re still going strong!!! I can smell the bread baking! I know. Freshly baked goods are fantastic!